Today’s agenda? 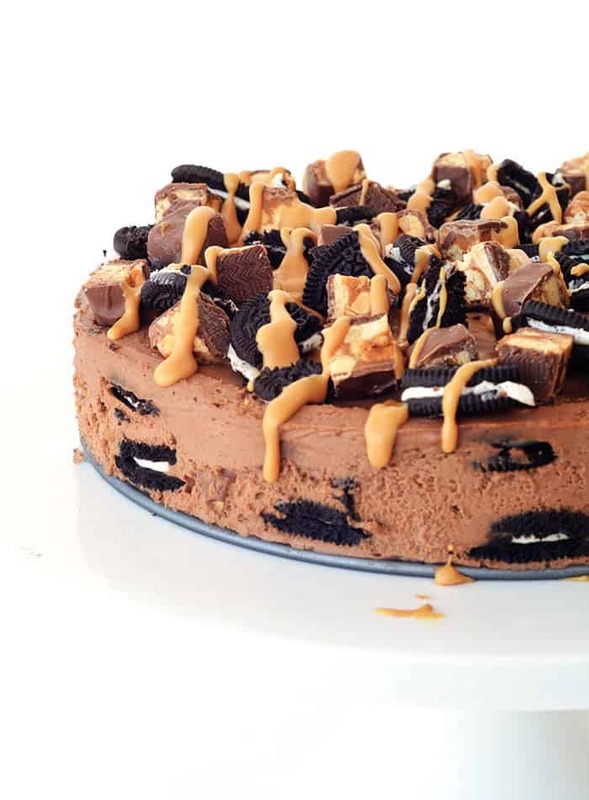 Snickers Peanut Butter Chocolate Oreo Icebox Cake. Seriously what’s not to love? 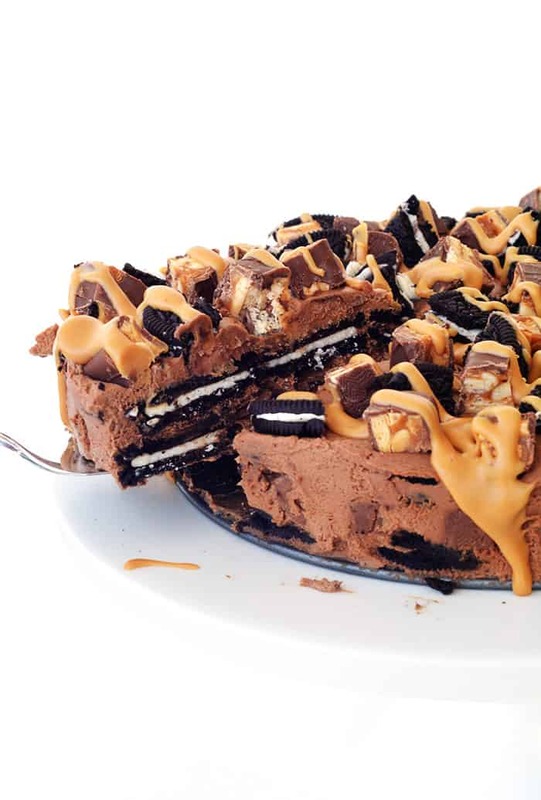 There’s Oreos, there’s Snickers, there’s chocolate and peanut butter. All the good things in life combine to create one epic no bake treat. It’s creamy, it’s crunchy, nutty and chewy. I can not get enough of this icebox cake. And it comes together in a flash. But be warned, it will be gone in a flash as well! It is very VERY hard to stop at just one piece. I love icebox cakes. Remember my Chocolate Chip Cookie Icebox Cake? And my Strawberry Oreo Chocolate Icebox Cake? 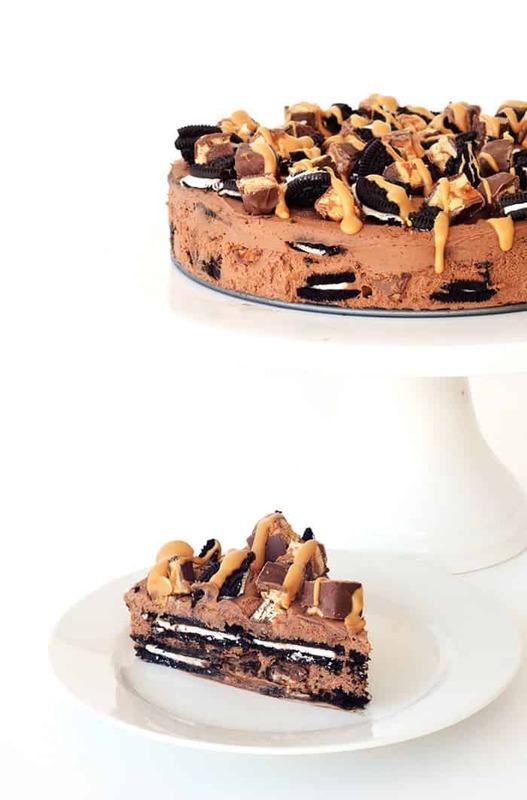 Both are super special, but this Snickers Peanut Butter Chocolate Oreo Icebox Cake just might be my favourite. Crunchy Oreo cookies are lathered in a sweet chocolate peanut butter cream that is made using REAL chocolate (for extra flavour) and peanut butter. Then chunky pieces of Snickers are scattered on top, along with salty swirls of smooth peanut butter. 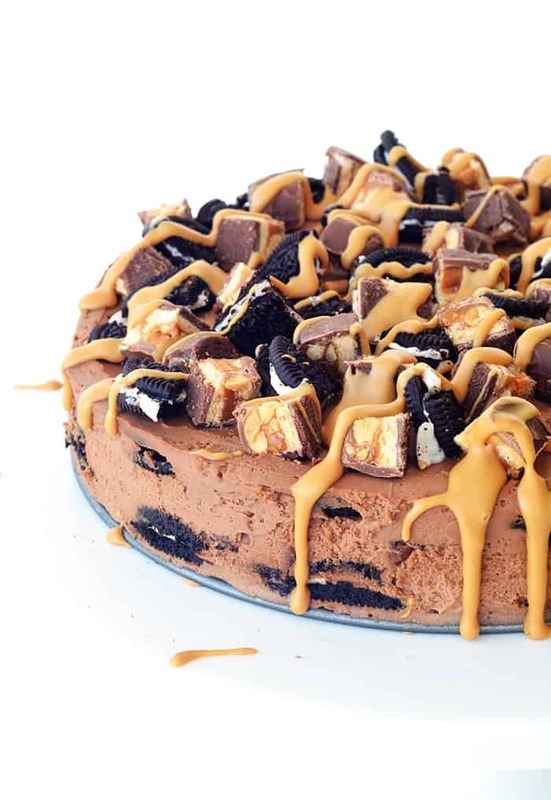 It’s heaven for peanut butter and chocolate enthusiasts. Every mouthful will be filled with sweetness from the Oreo cookies, along with creamy clouds of chocolate peanut butter cream. Then you’ll have the sticky caramel chew from the Snickers pieces that are hidden in between the layers and showered on top. This is a fantastic dessert to whip out at your next dinner party because you can make it the night before. 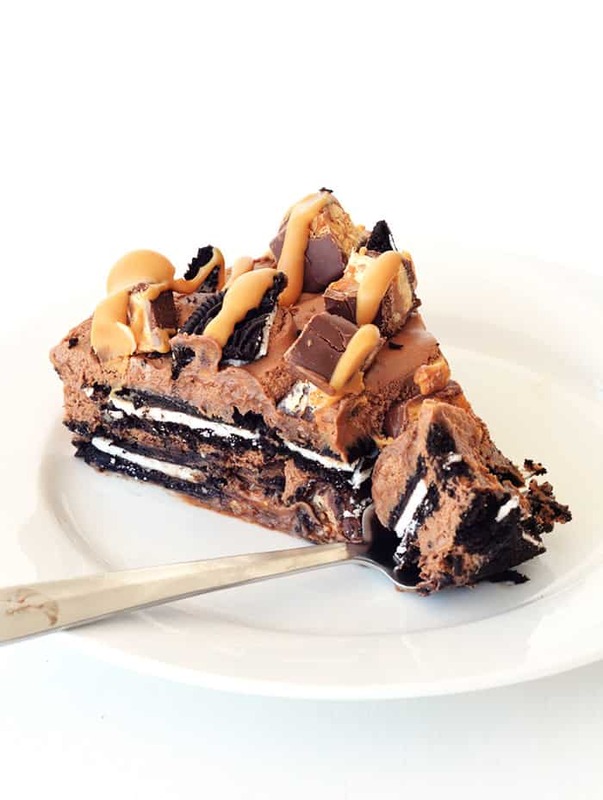 Simply top with extra Oreo pieces and Snickers bars when you are ready to serve and voila, a gorgeous dessert that is sure to impress. Well it has been QUITE the week here at Sweetest Menu. We managed to pack up our apartment and every single item we own and send them down to Sydney. I can’t even remember what it’s like to not be surrounded by boxes anymore. And today we are making our way to our new home in a new city! I can’t believe it’s really happening. It will be wonderful to unpack and make our new place feel like home. 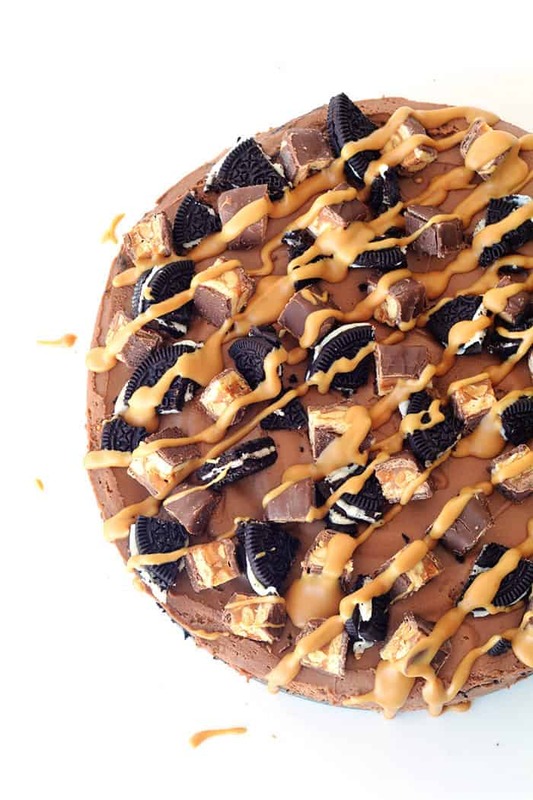 And it’ll be fabulous to get back into the kitchen to whip up some more sweet treats for you! To Sydney and new adventures! 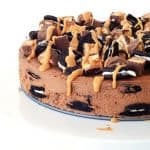 Snickers Peanut Butter Chocolate Oreo Icebox Cake with two layers of Oreo cookies lathered in a sweet chocolate peanut butter cream, topped with Snickers. Lightly grease an 8 inch springform cake tin with a little bit of butter on the bottom. Next chop your dark chocolate into small chunks and place into a bowl. Heat 3/4 cup of your cream in a small saucepan on a medium-low heat until it is warm (do not boil), then pour over your dark chocolate and leave it for about 2-3 minutes. Whisk your dark chocolate mixture until it is smooth. Then add your 1/2 cup of peanut butter and whisk until smooth. Meanwhile start whipping the remaining 1 and 1/2 cups of cream until it resembles stiff peaks. Then fold your whipped cream into your chocolate peanut butter mixture very gently until fully incorporated. To assemble, simply dunk each Oreo in your milk (for around 2 seconds) and then arrange in a single layer across the bottom of your cake tin. Don’t worry too much about any gaps. 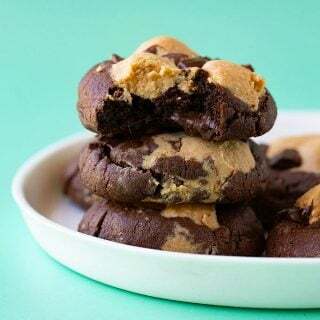 Then pile on half of your whipped chocolate peanut butter cream and spread it across the cookies in one even layer. Sprinkle over half of chopped Snickers. Repeat with another layer of Oreos, dunking and then layering them on top of the cream. Then add the remaining cream and smooth it out to form an even layer. Cover and place in the fridge for at least 8 hours or even better, overnight. Before serving, gently run a butter knife around the edge of your cake tin and remove the side of the tin. Sprinkle over the rest of your chopped Snickers and a few extra Oreos pieces. Melt two tablespoon of peanut butter in the microwave and drizzle over the top. Cut and serve. This cake is truly amazing! Thanks Simon! Hope you enjoy it. You know how to make some seriously crazy delicious icebox cakes. Everything in here is what I crave when I want dessert! I hope you arrived safe and sound in Sydney and are settling in! This looks like the perfect kind of treat to christen a new house with 😉 And to celebrate, of course! Holy cow, I want to dive into a big slice of this icebox cake! 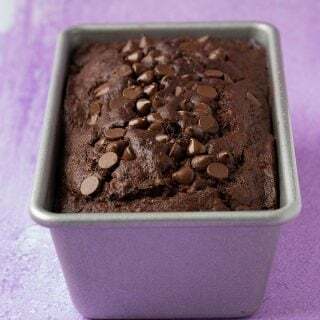 I love that there’s no baking required, and you can never give me enough chocolate and peanut butter. Yum! This icebox cake looks incredible! 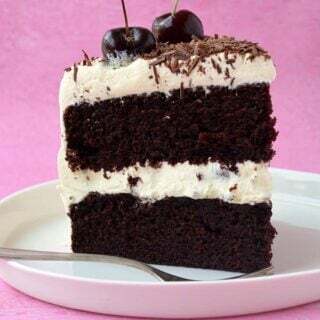 I’ve never made an Icebox cake but after seeing your recipe I think I’m going to have to changet that! Congratulations on your move, I hope your trip goes well today!